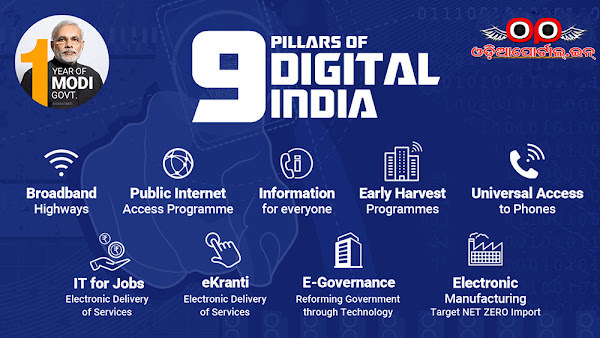 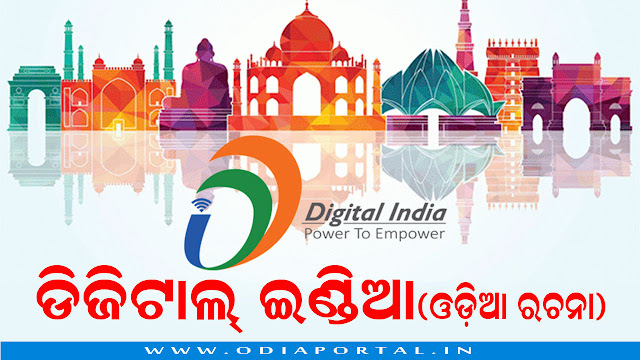 Digital India is a campaign was launched on 2 July 2015 by Prime Minister Narendra Modi behalf of the Government of India to ensure that Government services are made available to citizens electronically by improved online infrastructure and by increasing Internet connectivity or by making the country digitally empowered in the field of technology. 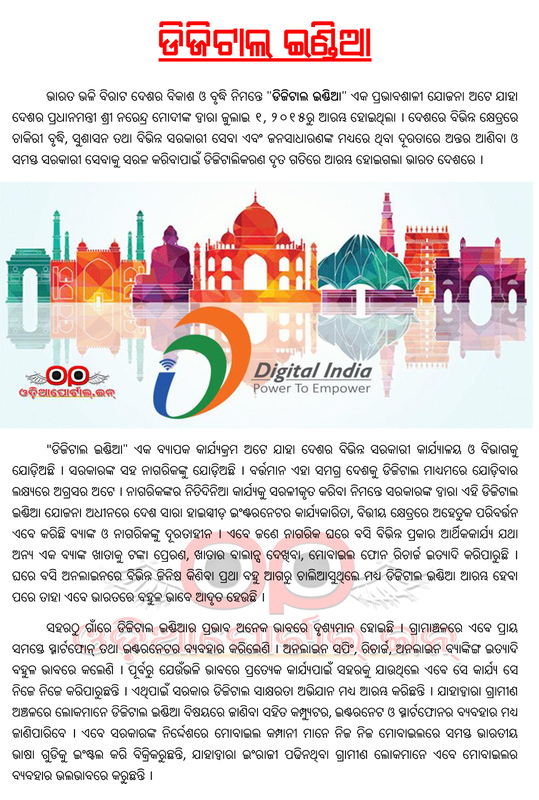 The following is the Odia Essay on Digital India for School/College Students. 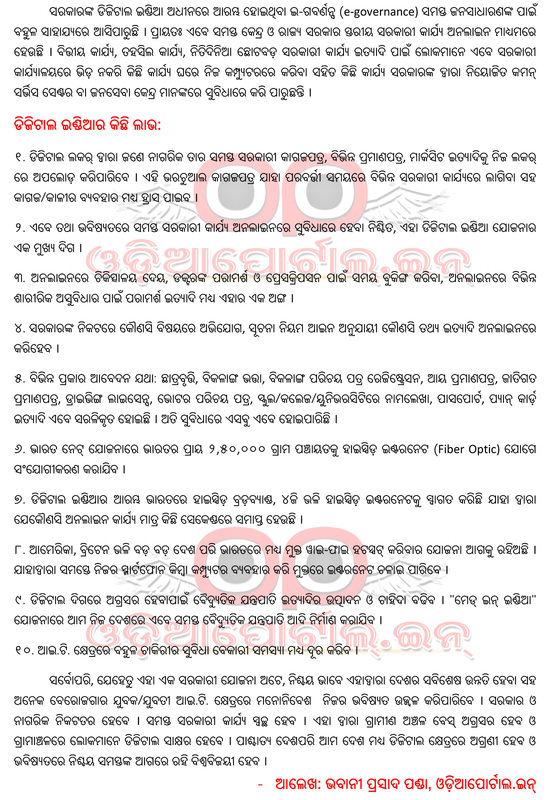 You can download the PDF attached in this page for offline use.